Pricing Plan – Is it Expensive? 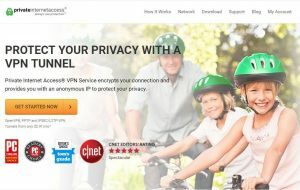 Hide.me stands at a relatively higher price tag than most of the VPNs in the market, probably the company wants to tag itself as a premium option and does not want to compete with its competitors in terms of price. The Plus plan costs $9.95 when paid monthly, this price comes down to $6.65 when you pay on a 6-month basis, and it further comes down to $4.99 if you pay on a yearly basis. The premium plan has more or less similar pricing as well, but it is a bit pricier. Its 1-month plan costs 14.95, but this digit comes down to $13.32/month if you pay bi-yearly. However, its yearly subscription tagged as $119.95 which comes down to $9.99/month. These costs are so high that they set Hide.me apart from its competitors. If you are thinking to subscribe to its Free Plan, then let me inform you that the free plan only lasts 14 days. Payment Plans – Can You Pay Anonymously? Yes! You can pay anonymously using Bitcoin. Other than anonymous payments you can pay with PayPal and Credit Cards. A kill switch keeps your anonymity intact especially when the internet drops. This is an essential add-on and here is why it is important. If your internet connection drops abruptly, then your computer will automatically try to connect to another network. This could be any Wi-Fi or mobile phone data connection. It usually feels good, as you do not lose your internet connectivity; however, the problem is, that your physical location and private data are all left out in the open. A kill switch ensures that the server does not expose your original IP address. It offers advanced encryption algorithms that make it one of the most secure VPNs out there. For starters, AES 256 bit encryption which is also known as Military Grade Encryption” is the highest security to encrypt data. It is used by banks and intelligence agencies to keep their data secure. This encryption is responsible for securing personal files, credit card and other personal information in the device. Hide.me VPN uses AES 256 bit encryption and ensure that you stay protected even on public Wi-Fi. There are a lot of VPNs that claim that they do not store logs of the web activity, but they end up doing it. Hide.me was built with no-logging in mind; it clearly depicts in their logging policy. Hide.me is free of any leak. Once the connection with Hide.me is established the app automatically deletes the local gateway to the internet and makes your IP completely inaccessible. A DNS leak occurs when a DNS request is sent through your computer network instead of the VPN you are using. Let’s give Hide.me, a DNS leak test! After Hide.me gets connected it immediately sets up a public DNS to its own network. This way every DNS request goes through this VPN and your web anonymity stay intact. Hide.me proves that its claims of 100% anonymity are true and users can be assured that their anonymity isn’t compromised and truly there is no DNS or IP leak with Hide.me. Split tunneling is a feature that routes specific apps to use unprotected internet while protecting others with a VPN encryption. Hide.me boasts about its split tunneling feature and upon testing it, we can conclude that it does work pretty well. Here’s how you can use split tunneling on Hide.me. Select split tunneling from the menu on the left hand of the screen. Confirm the selection and Click OK.
Split tunneling feature gives you control over applications, so, no worries here. Hide.me Servers – How are they Different? Hide.me does not boast about its number of servers. It has owned a total of 160 physical servers in 50 different locations. Although these numbers do not speak volumes, these servers are physical and not virtual. It owns different locations of servers which can be fruitful in the long run when users want to escape geo-restriction and faster speeds. Can you Safely Download Torrent with Hide.me? It has a specialized proxy that works best with torrents. 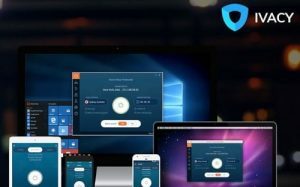 It gives a speedy P2P connection that is perfect for torrenting. The SOCKS5 proxy gives support with most of the browsers and encourages torrenting. According to the VPN client, the proxy allows a faster connection when transferring files with P2P. The premium subscription (the costliest) a user gets access to dynamic port forwarding. It gives P2P a direct connection rather than of an over-centralized server environment. Is Hide.me Compatible With Popular Platforms? Hide.me has a custom client for Windows, Mac, Android, iOS, and Linux. It basically has clients for all popular platforms and operating systems. You can also use it on your Router to cover all the connections that are connected via the router. Moreover, the company also provides in-depth setup guides for each platform. Hide.me also offers Chrome and Firefox extension for users that are not interested in installing software clients but want to ensure swift and complete anonymity online. If you are a Netflix fanatic or someone new in the streaming arena you’d want to watch TV shows and movies on Netflix. The question is, can Hide.me users enjoy streaming on Netflix? 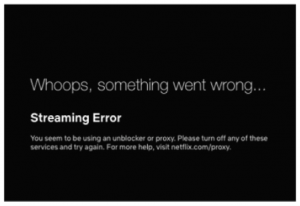 Netflix banned hundreds of VPNs as the company claimed they violated their copyright policy. Unfortunately, Hide.me comes under the category of VPNs whose servers are blocked by Netflix. So if you are planning to watch Netflix with hiding .me, don’t bother, it doesn’t support it. However, there are VPNs that support Netflix. Customer Support – Is it Supportive? Hide.me possesses 24/7 live chat support, other than email and ticketing system, plus there’s also a community where you can report a problem and ask VPN experts to help. Their live chat is very responsive and pretty helpful, and the operator is well equipped with technical education. Do We Recommend Hide.me VPN? Yes, we do recommend Hide.me. It is a feature-rich VPN with easy to use and meets almost all the requirements of a reliable VPN service. Hide.me only lacks in its compatibility with Netflix but other than that, it is a complete solution to your anonymous needs. In case you need a fairly cheap alternative you can read our reviews and select one of our recommended one.